Growth of ecommerce in the UK is a key industry topic for warehousing and logistics. Whilst the impact can be felt by supply chain companies in the UK, it also affects companies within Europe as they continue to see a rise of products being sold in the UK ecommerce market. Products are often brought in from China or the Middle East, the supply chain usually includes distribution via European hauliers or providers. Retailers such as Amazon and high street stores have seen significant growth in their ecommerce capabilities and product portfolio. This is coupled with a trend of more companies offering an ecommerce platform for end customers. Access to products via mobile devices has led to more companies setting up ecommerce capabilities, with eMarketer predicting that ecommerce sales in the UK will be worth £86 billion in 2019. Developments in ecommerce have shifted customer expectations, resulting in next day delivery options, available at no or a low cost. Smaller companies have to compete with Amazon Prime deliveries, therefore many will offer free deliveries for orders over a certain amount as an incentive for customers. Growth of ecommerce in the UK has a significant impact on warehousing and logistics, prompting changes and opportunities across the industry. As e-retailers expand in the market, so too does their requirements for sophisticated and developed warehouses and logistics. The existing shortage of UK warehouse space has seen an impact due to increased demand, this is an on-going trend within warehousing and logistics. Development of IT systems and software are also required to process ecommerce orders, rework and fulfilment. This includes the integration with existing Warehouse Management Systems for efficient operations for re-work, pick and pack, and postage. Many online retailers provide a choice of carrier options for consumers at the checkout, from next day delivery to a chosen day. This couples with the customer expectations for quick delivery of goods, direct to their chosen address. The trend of delivery choices provides logistics firms with opportunities to expand their services, work with parcel suppliers and get a better understanding of customer delivery trends. 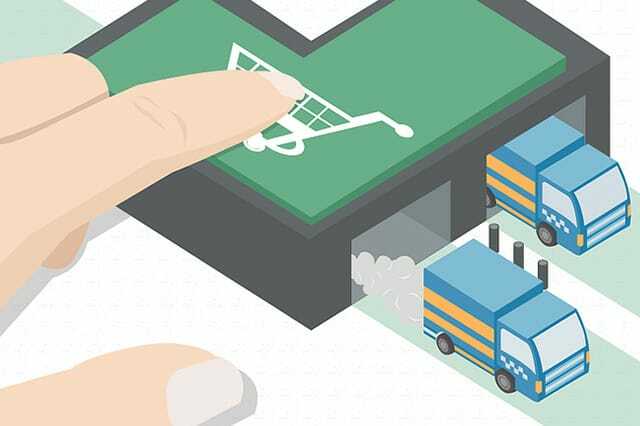 For warehousing and logistics, many ecommerce retailers will look for a one stop shop for their operations, including warehouse facilities, required pick and pack services, and the onward distribution of goods throughout the UK. The NX Group provides customers with the complete supply chain solution, including warehousing, distribution and rework. Our broad range of customers benefit from our experience and knowledge of the market.